Woodsmen by trade, there's no problem a well-placed arrow won't solve. Born to an unnamed father and an ailing mother, Anrion grew up alone in this world. Living in the city of Cheydinhal as a boy, he spent much of his time in the lush forests surrounding the area. After a run-in with some local bandits, he was fortunate enough to be saved by the Fighter's Guild, who were there on a job. This led to Anrion striking up a friendship with the current Cheydinhal head, Burz gro-Khash. Although he was never officially inducted into the guild, he was drafted as a ward, dealing with the daily chores and learning from the members of the branch. 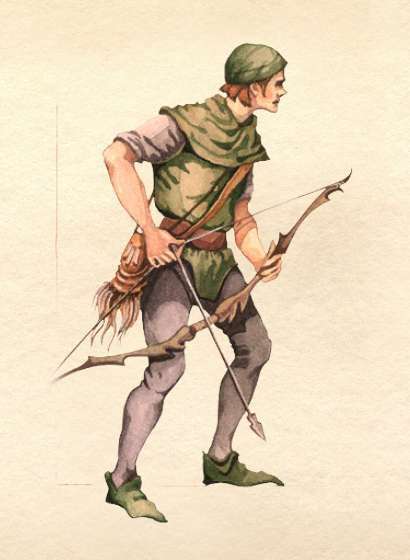 Discovering that he was adept with a bow, they helped him shape himself into a capable archer and huntsman. Newfound skills in hand, Anrion began to contribute to the town as a hunter, bringing in game and, after some practice, collecting herbs to be used in potions. As an adult, Anrion is a man of middling height and slim physique. Commonly described as taciturn, he usually spares no more words than necessary on anyone outside of his social circle. 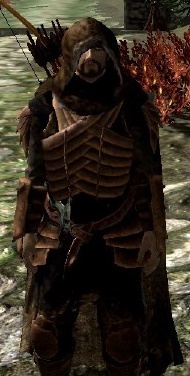 He has a dislike for folks from the larger cities of Nirn, a disdain for mages, enchanters, and generally anything not on the list as "martial", and disgust for daedra, undead, and anything not on the Mundus plane. In combat, Anrion prefers to settle the matter with a single well-placed arrow taking the enemy by surprise. Usually people who are in his sights are below reputable and he does not see any point in making taking them out harder for himself than need be. If it's practical and it works, he'll do it.